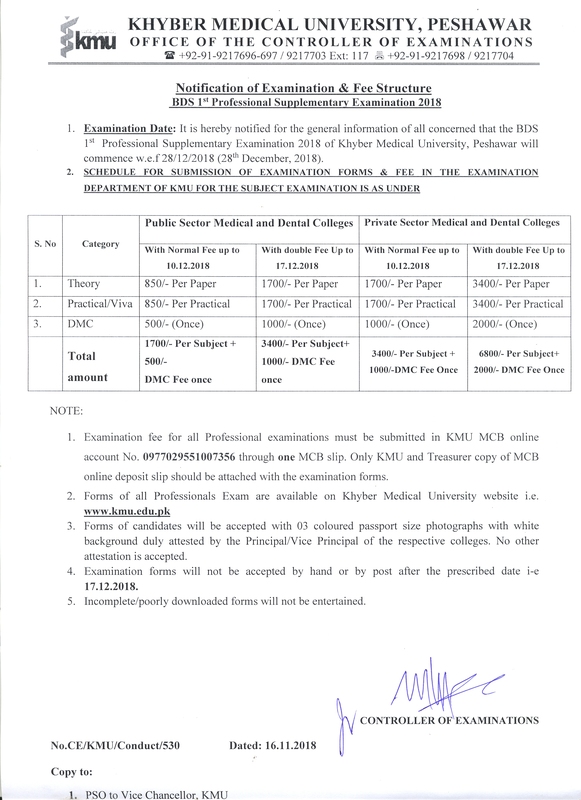 Educational Testing and Evaluation Agency (ETEA) Entrance Test 2018 organized by Khyber Medical University (KMU) Peshawar for admissions in Public and Private Sector Medical and Dental Colleges of Khyber Pakhtunkhwa was simultaneously held at Islamia Collegiate School Ground Peshawar, Haripur University Haripur, Grassy Ground Saidu Sharif Swat, Gomal Medical College new building D.I Khan, Abdul Wali Khan University Garden Campus Mardan, Cadet College Kohat and Malakand University Chakdara Lower Dir. 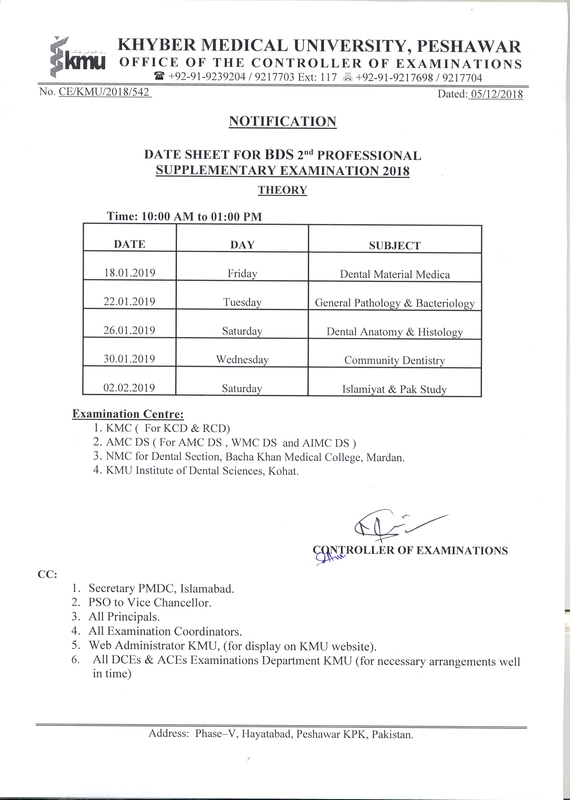 A total of 38062 candidates including 23460 male and 14602 female students appeared in the said Entrance Test at the above mentioned seven centers. 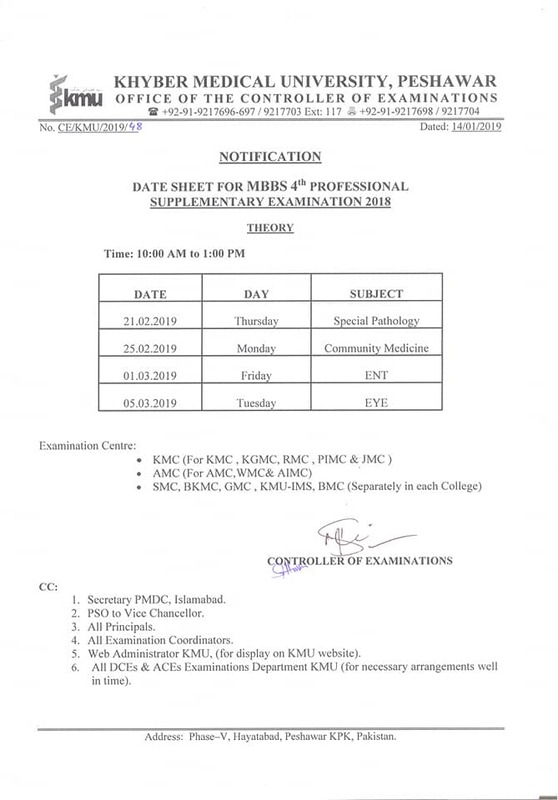 The results of the test will be announced within 24 hours and will be available on KMU website www.kmu.edu.pk as well as on ETEA website www.etea.edu.pk in addition to that the results will also be communicated to the entire candidates individually via SMS on their mobile phones through specially prepared software by IT Section of KMU. 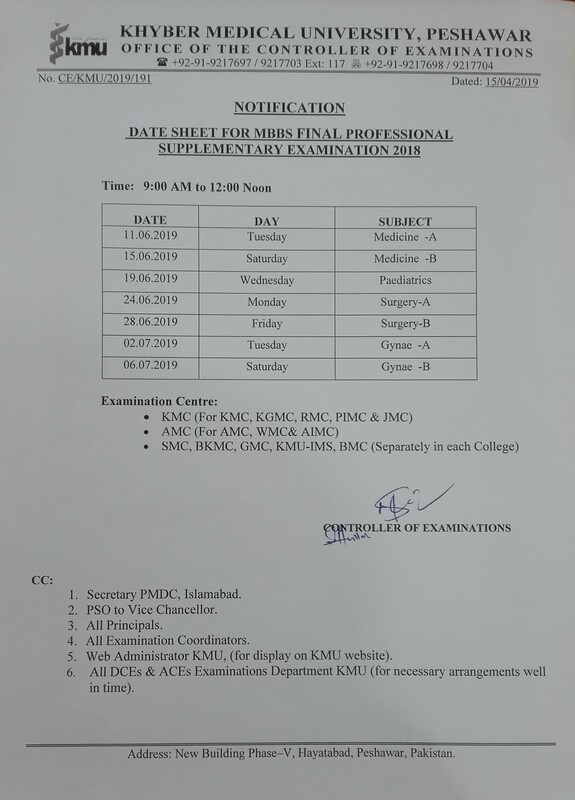 According to details at Islamia Collegiate School ground Peshawar 10,000 candidates appeared in the test whereas 5402 students at Haripur University centre Haripur, 5407 at Grassy Ground Saidu Sharif Swat, 3775 at Gomal Medical College new building D.I Khan, 6792 candidates at Abdul Wali Khan University Garden Campus Mardan, 3251 at Cadet College Kohat and 3435 at Malakand University Chakdara Lower Dir appeared in the test for admission in medical and dental colleges of Khyber Pakhtunkhwa. The Vice Chancellor of KMU Prof. Dr. Arshad Javaid, while talking to the media expressed his satisfaction on the overall arrangements for the Entrance Test and said that increasing number of candidates for appearing in the ETEA Test shown a great trust on the arrangements and transparent process of the test carried out jointly by KMU and ETEA. 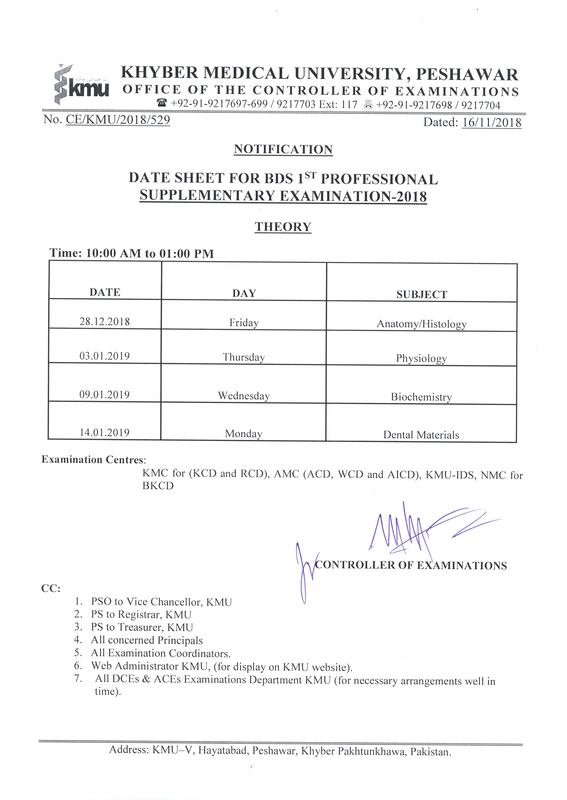 He added that keeping in mind the huge number of candidates and to avoid logistic and managerial issues as well as to conduct the test in smooth and transparent manner the number of test centers are increased from four to seven this year by adding three new test centers of Cadet College Kohat, Abdul Wali Khan University Mardan and Malakand University Chakdara Lower Dir. The KMU VC lauded and thanked the efficient role of ETEA, KMU and UET staff, Police, Civil administration, authorities of University of Peshawar, Islamia College University, Islamia Collegiate School, Haripur University, Gomal Medical College, Abdul Wali Khan University, Cadet College Kohat, Malakand University, parents and especially candidates for their cooperation and support and hoped that this spirit will also keep continue in their future endeavor as well. 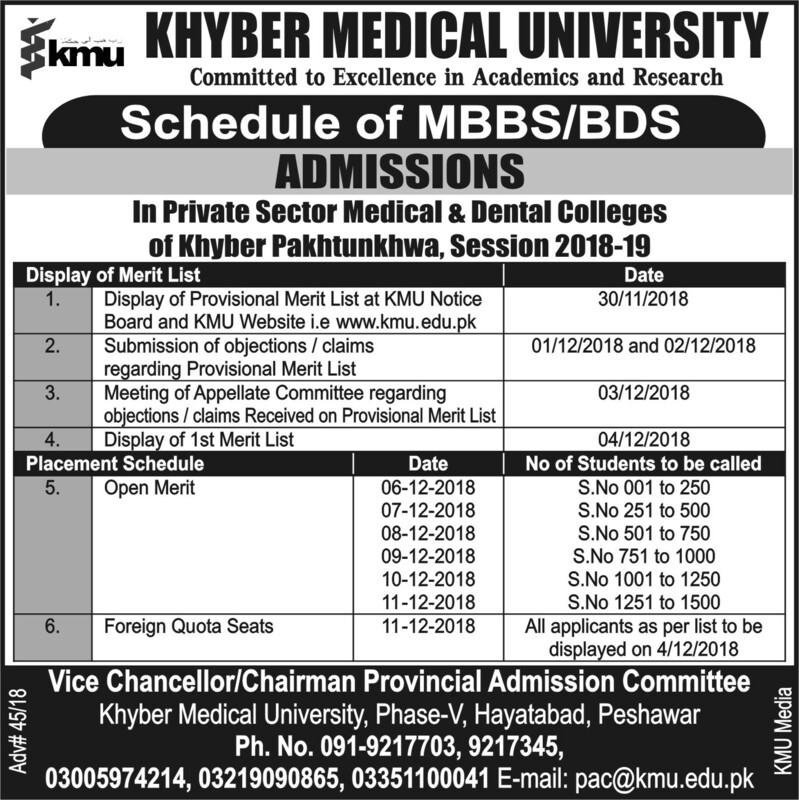 Post Graduate Medical Institute(PGMI) LRH/HMC Peshawar. Pakistan Institute of Community Ophthalmology(PICO) Peshawar. 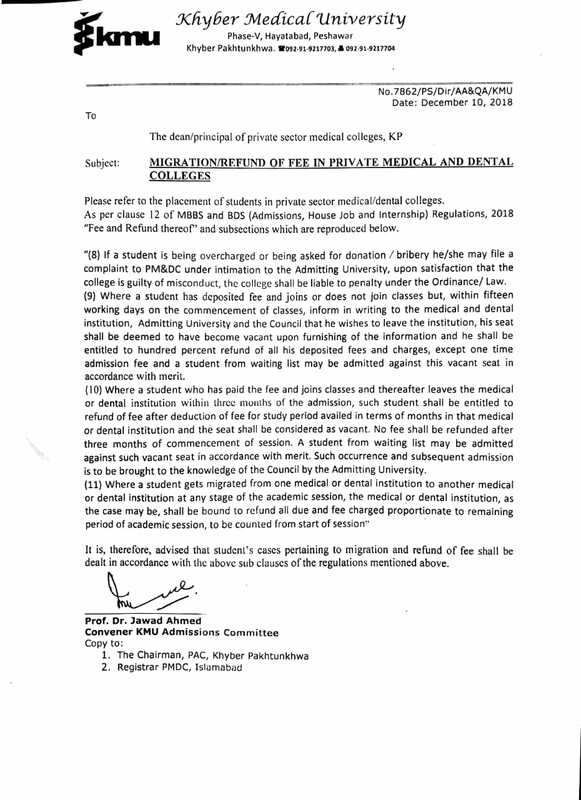 Udhyana Institute of Medical Technologies Abbottabad.